Scotsman Jay Cavendish (Kodi Smit-McPhee) has come to the United States to be reunited with the woman he loves, Rose Ross (Caren Pistorius). Making the slow trek into the sparsely inhabited western expanses of the still young country, he is taken under the wing of loner Silas Selleck (Michael Fassbender), the gunslinger agreeing to take the wilderness neophyte to his destination for a $100 in cold, hard cash. Silas has his additional reasons for wanting to find Rose, his fortune in finding Jay going to make his search all the easier. But he’s not the only one on the woman and her grizzled father John’s (Rory McCann) trail, cutthroat bounty hunter Payne (Ben Mendelsohn) and his bloodthirsty band of associates keen to track the pair down as well. Not that Silas is going to share this information with his new acquaintance, instead perfectly content to make the journey westward with Jay clueless as to just how lethally high the danger level actually is. 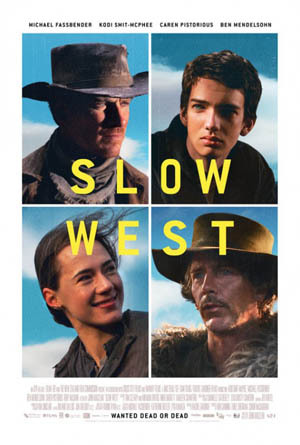 Writer/director John Maclean’s debut feature Slow West is a cold, stark Western that does the genre proud. Displaying an uncanny sense of time and place while also showcasing a darkly absurdist sense of humor that’s as pitch black as it is uncomfortably silly, the movie is a beautifully destructive drama that builds to a freewheeling, bullet-riddled conclusion that devastates in its emotional callousness. 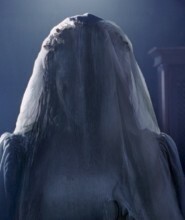 The film is gloriously shot by Robbie Ryan (Philomena) and even more exquisitely scored by composer Jed Kurzel (The Babadook), while editors Roland Gallois (The Hunter) and Jon Gregory (In Bruges) team up to put the pieces together with astonishing precision. For Maclean, the whole film is a delicate, modestly paced balancing act, the pitch black humor confidently juxtaposed between both the blossoming friendship developing between Jay and Silas as well as the coldhearted depravity lurking at all times just outside the frame. While never spelling things out the filmmaker still plants a number of clues revealing aspects of his central characters’ personalities, all of which, while never becoming completely clear, starts to come into powerful focus as the pair finally stands face-to-face with Rose. It is almost too austere at times, and flashbacks to Jay and Rose in Scotland, while arguably important, almost feel lifted from a completely different motion picture. There’s also a bizarre sequence involving a conversation between Silas and Payne while one of the pair is under the influence of absinthe, all of it leading to a boneheaded mistake it’s difficult to believe a killer of either’s stature would end up making. It almost feels as if this surrealistic turn of events only exists to increase the level of danger for Jay and Silas as they reach their destination, this one incident arguably the only inauthentic moment the film offers up. Thankfully, it ends up not mattering terribly much, Maclean unleashing a furiously magnetic finale that’s full of heart stopping surprises. Things do not go entirely as expected, the filmmaker defying convention as heroes and villains trade places and acts of unimaginable valor happen in the same moment life leaves the body. It’s stupendous, Fassbender (who was born to be in a Western), Mendelsohn, Pistorius and especially Smit-McPhee collectively rising to the occasion each delivering a performance in these climactic seconds that left me dumbstruck in awe. I’m not entirely sure what Maclean was doing before this (his credits on IMDB range from a BAFTA-winning short film, Pitch Black Heist, to helping write a few of the songs appearing in movies as diverse as High Fidelity and Remember Me). What I do know is that I’m eager to see whatever he has up his sleeve next. 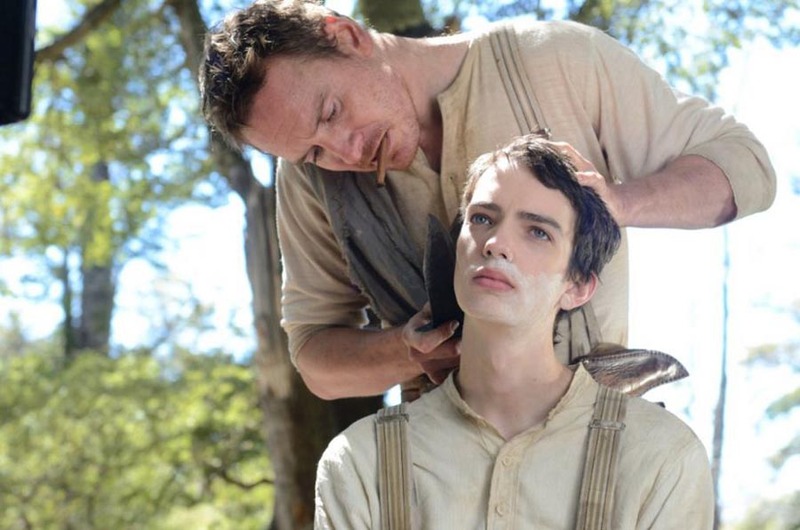 As debuts go, Slow West is a stupendous one, the film an elegiac Western triumph both fans of the genre and newcomers alike will hopefully enjoy in equal measure.